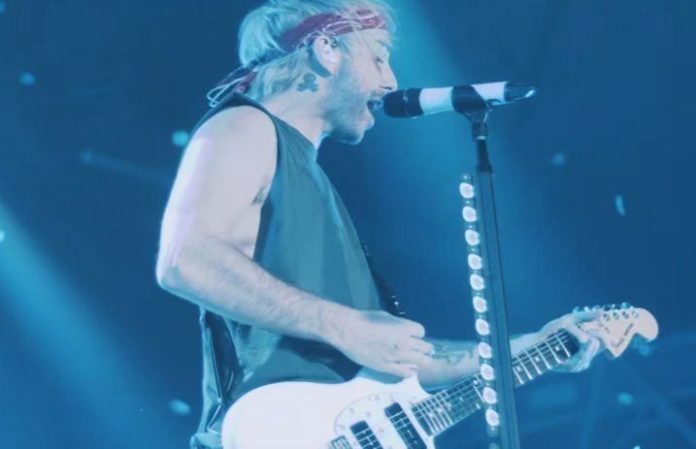 All Time Low have released a stunning new live video for “Afterglow,” a track taken from the band's most recent album Last Young Renegade. The video features live footage from their show at Alexandria Palace in London, and it's truly giving us all the feels. Give the “Afterglow” video a watch below! All Time Low have an exciting summer ahead of them, set to play Lollapalooza and a few dates of the final Vans Warped Tour. The band released Last Young Renegade last year, and it just so happened to be one of our favorite albums of 2017. What are your thoughts on All Time Low's new music video? Let us know in the comments below!